Paris / Leverkusen: The Mazda RX-VISION, a stunning rotary-powered sports car concept, captured the “Most Beautiful Concept Car of the Year” award at the 31st Festival Automobile International. 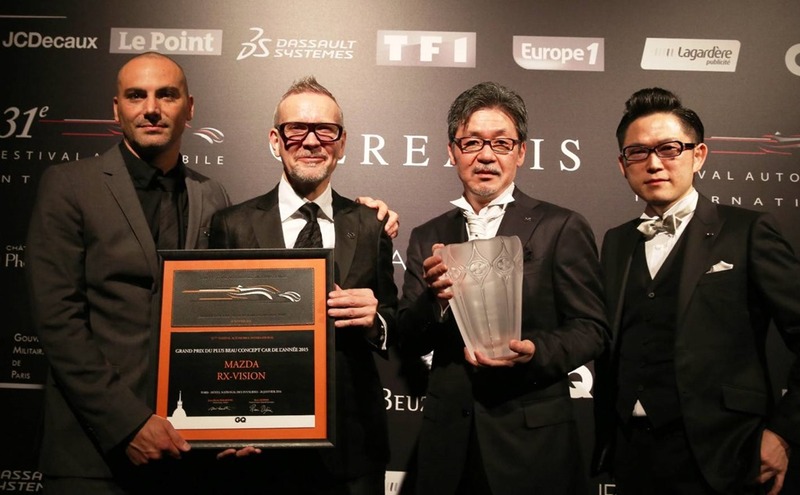 Ikuo Maeda, the company’s international design chief, accepted the award Tuesday evening together with Kevin Rice, Mazda’s European design director, Julien Montousse, his counterpart at Mazda North America, and Mazda designer Norihito Iwao. 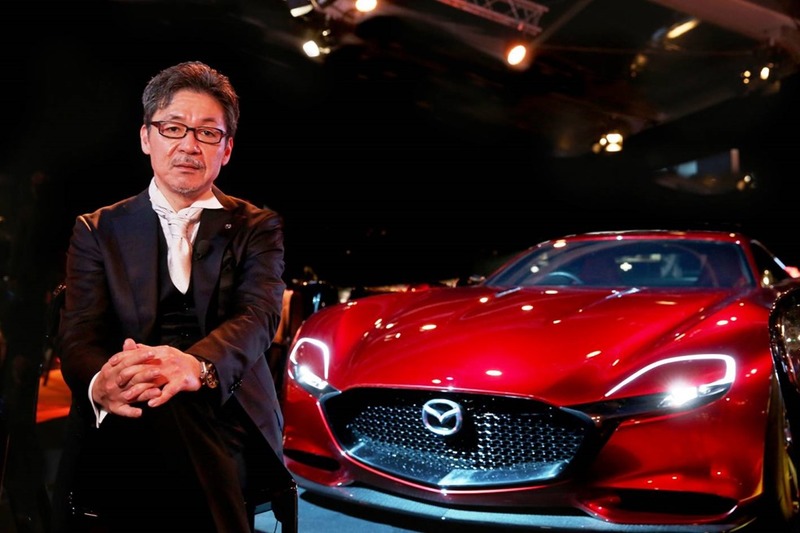 It’s another honour for Mazda’s global design division, which took home three prizes in September at the Automotive Brand Contest 2015 including the prestigious “Team of the Year” award. The RX-VISION was nominated this year alongside the Bentley Exp10 Speed 6, Peugeot Fractal, and Porsche Mission E. Mazda’s concept shared the podium with the latter. Unveiled at the 2015 Tokyo Motor Show in November, the RX-VISION exemplifies Mazda’s challenger spirit. The company’s latest concept car is a truly striking rendition of its ‘KODO – Soul of Motion’ design philosophy. The smooth-flowing proportions scream performance while paying tribute to Mazda’s rich heritage of front engine, rear-wheel drive sports cars. Indeed, the rotary powertrain’s compactness makes characteristics like the low bonnet possible. Fans of the brand are certainly eager to see this creation go into production. The RX-VISION will be on display at the Festival Automobile International’s concept car exhibition in Paris at the Hôtel National des Invalides until 31 January. The concept award goes to the vehicle that best embodies pure design creativity and emerging trends. It is one of four grand prizes at the annual event, with the winners chosen by a jury of experts and enthusiasts from the world of motorsports, architecture, fashion and design.